We offer you comprehensive solutions in case you look for efficient, professional, durable and, what is most important, good price LED displays rental solutions. We are an experienced company and therefore we are able to give you what you need, regardless of what your needs may be. You may freely choose from our wide range of various LED signs, billboards, mesh lurtains, long panels and others that are applicable for almost all purposes. 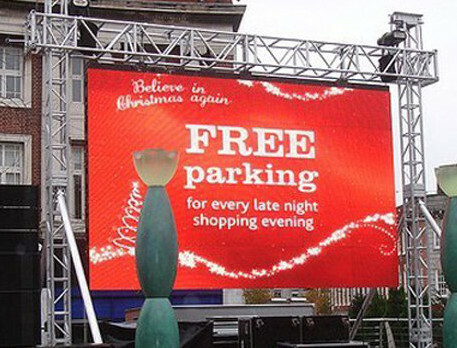 Renting our LED signs and screens products is the best option if you look for time-saving and money-saving solution to get your own LED advertising or information space to become more visible on the advertising market, or in your business branch. We can offer you various dimensions, sizes, technical specifications and other important values that characterise all our LED products. Contact us for more information on the exact LED displays rental solutions costs, the amount of space you would like to rent, or the type of a LED sign, billboard, or screen that suits you best.